Hi, friends. July 4 is almost here and we’ve had lots of rain in Ohio. 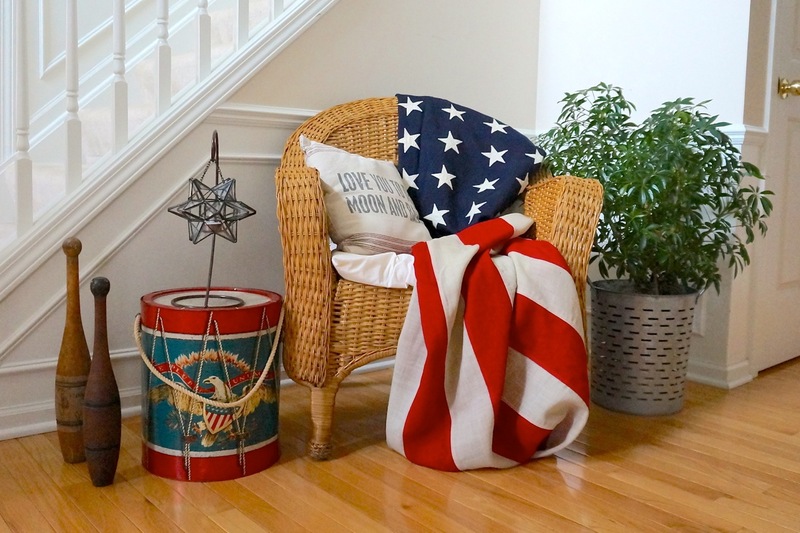 I haven’t felt much like decorating outside, but I have this vintage flag I found last year and love. It’s pre-1960’s (before Alaska and Hawaii were added to the union) so it only has 48 stars. 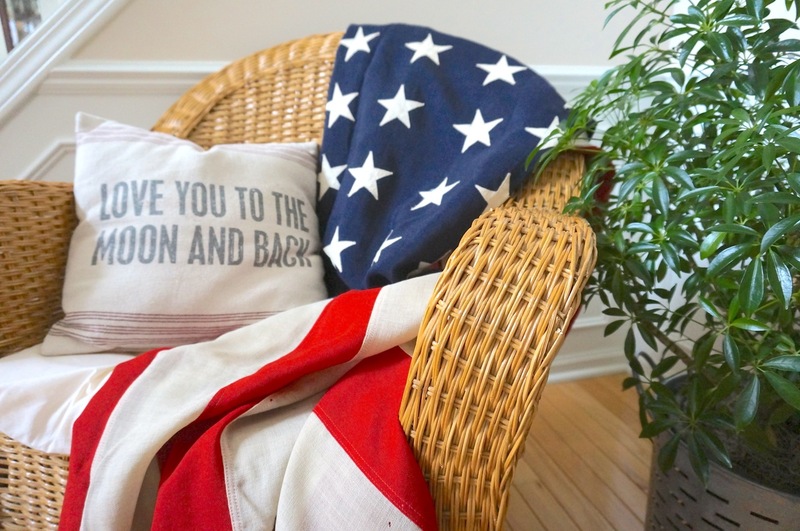 It is woven linen and hand-stitched – I love its character, patina and history. I feel like it needs to be displayed for the holidays for sure. Last year I used my Windsor bench to dress up the front entryway (view more pictures). 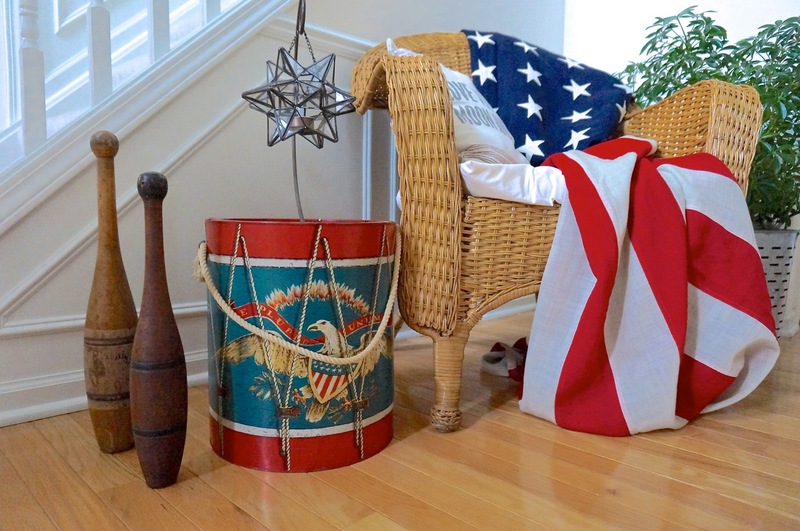 This year, I thought my little wicker chair would add a nice texture to the flag. 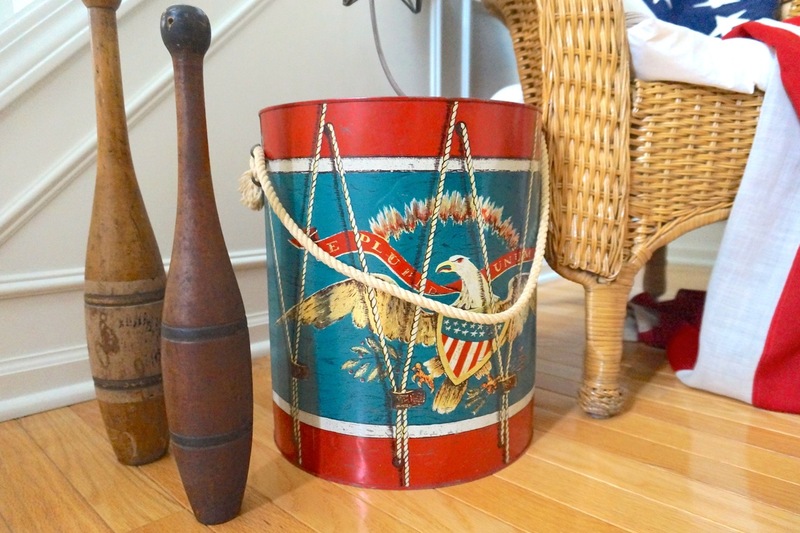 And I found the cutest vintage American drum (it’s actually a drink cooler!) perfect for the holiday. A little star and juggling bowling pins round out the display with a gorgeous umbrella plant placed in my galvanized olive bucket. 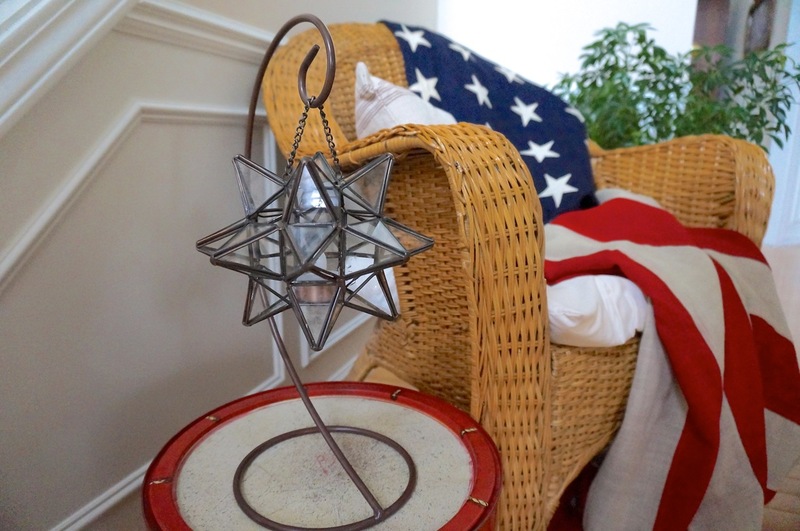 I hope you enjoy your holiday weekend with family and friends – be safe.